The Greek development of a rigorous system of logic and reasoning, which led to the first mathematical proofs. In ancient Greece, the god Apollo was worshipped as the god of knowledge. The Greeks believed that man had an immortal soul, with knowledge already contained within. This had only to be teased out by abstract reasoning. 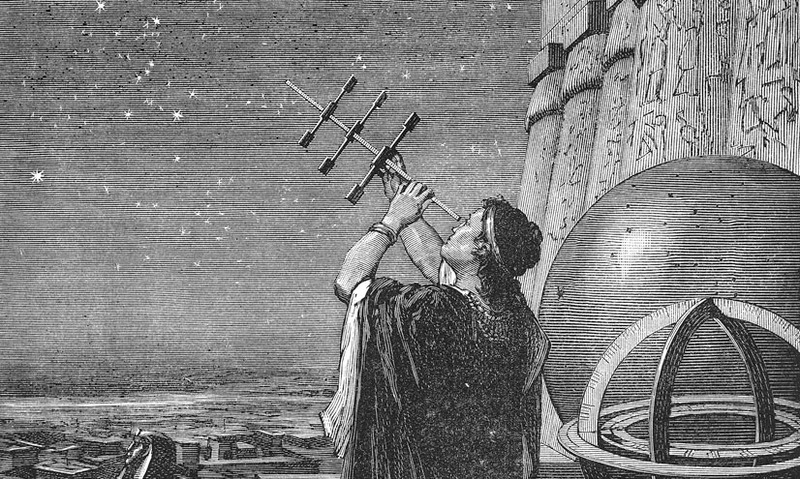 Revered mathematicians such as Euclid and Thales, used rigorous logic to tap into their inner knowledge. In their search to discover the mathematical truths that lay within, ancient Greek mathematicians became the pioneers of proof. They developed axioms, or statements based on universally accepted self-evident truths. For instance, that a straight line can be drawn between two points. They used these axioms as a logical basis to create universal theorems. Mathematical statements that can be proved beyond doubt, to be true in all cases. Thales was the first to announce that reasoning was more important than intuition, belief, or even experimentation. He used logic to deduce that any triangle inscribed thus in any semi circle, will always be a right angle triangle. This was one of the first proofs. Later, Euclid introduced a system for proving mathematical statements. He collated all known geometric ideas of the time. And created for them sets of definitions, axioms, theorems, and finally methods of proof. 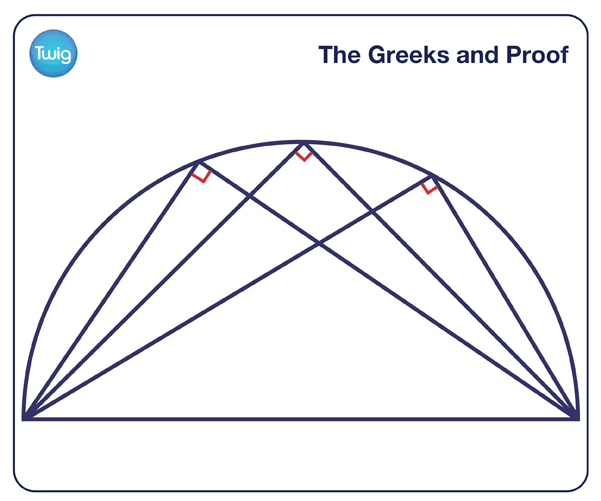 Since Euclid's time, mathematicians have developed many more proofs – including over 250 proofs of Pythagoras' theorem. But many mathematical statements remain unproven. And mathematicians continue to build on the ancient Greeks' methods, to try and prove them true.